Last night was pretty noisy. Tonight, still reeling from the who-knows-how-many beers, I decided to take it down a notch. 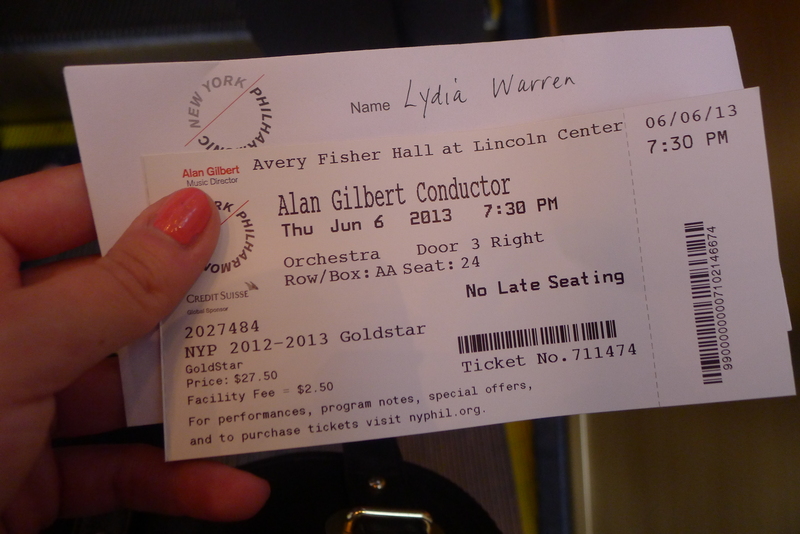 And I took myself to see the Philharmonic Orchestra. 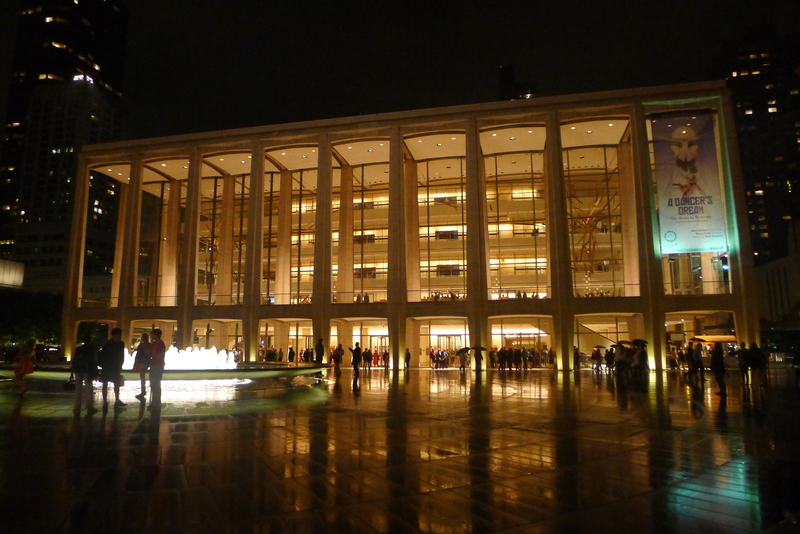 After scoring some cheaper-than-I-expected tickets on Goldstar ($27), I dashed through the rain to Avery Fisher Hall at the Lincoln Center. My seat was on the orchestra level but this is a great venue; there’s not a bad seat in the place. 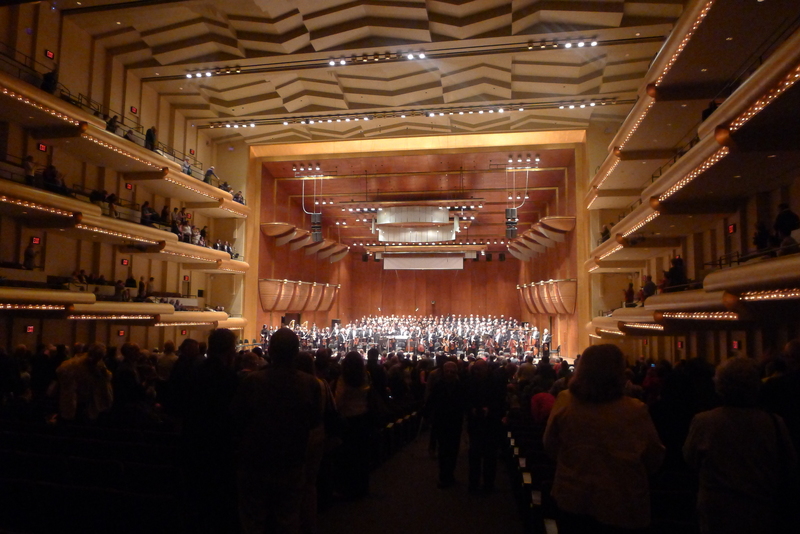 I know very little about classical music – well, apart from that I’ve always enjoyed it. And tonight I was choked up just by the tuning. I definitely preferred the first half. 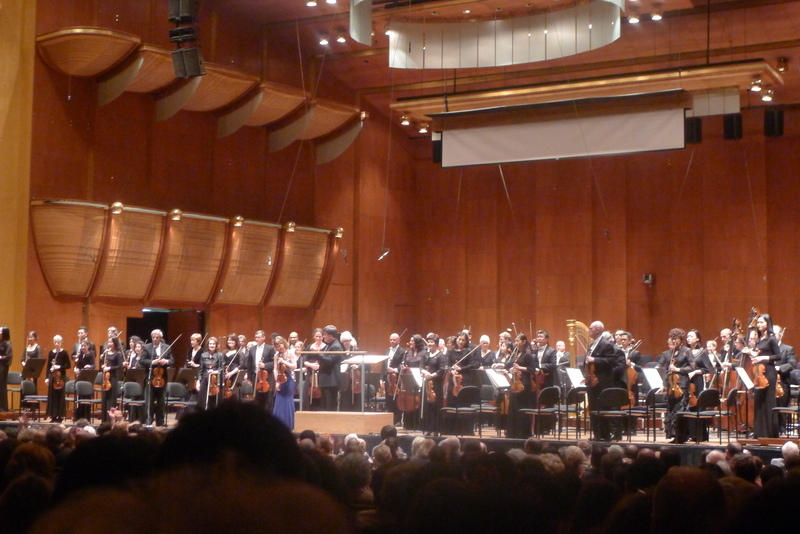 I was mesmerised by the solo violinist, Lisa Batiashvili, and the fragility of the strings around her. Their bows expanded and contracted in unison like one massive swelling, breathing diaphragm. 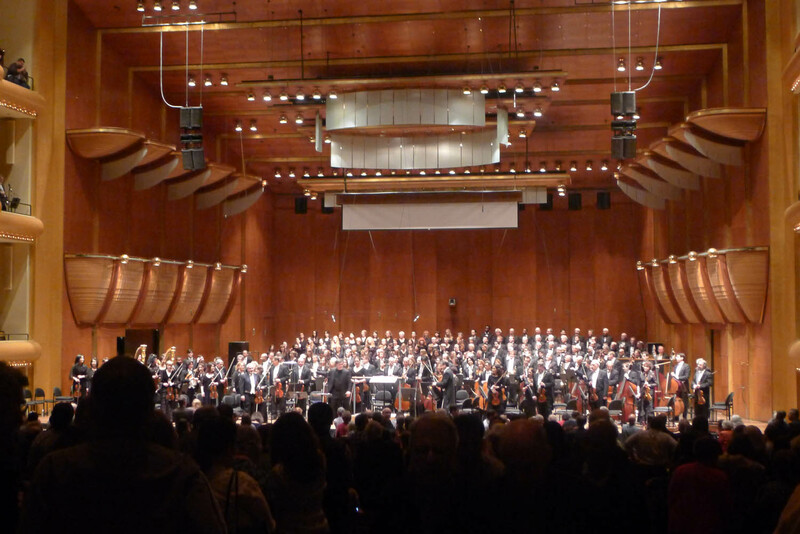 The second half definitely had more texture – thanks to the five soloists, monstrous choir and rumbling percussion – but while I enjoy opera, the voices kind of got in the way of the other musicians. I wanted the music to wash over me as it had before, which it didn’t – but I suppose at least the barks of the opera singers snapped me awake. This is a gorgeous way to spend a sedate evening of culture and I would definitely go again. I just think I’d be more careful when choosing the program in the future.